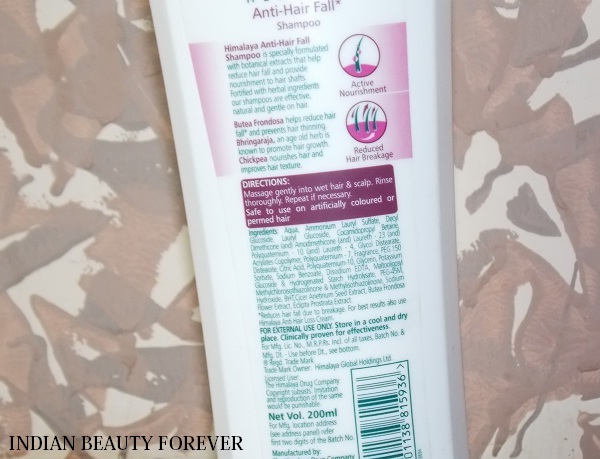 I will review Himalaya Herbals Anti Hair Fall Shampoo in this post. hair fall is one thing that not only makes you feel conscious appearance wise but it also can be one of the reasons of stress both in men and women, when in fact stress can be one of the primary culprits for hair fall, so it's like a vicious circle. Anyways, coming back to Himalaya Herbals Anti Hair Fall Shampoo. I have always loved Himalya product and this time, I wasn't the one who used this product, My brother is using this shampoo so, let's see, I mean read what are his views. Himalaya Herbals Anti Hair Fall Shampoo is priced at 130 rupees for 200ml and is formulated for all skin types. You can also get a smaller pack at just 70 bucks. 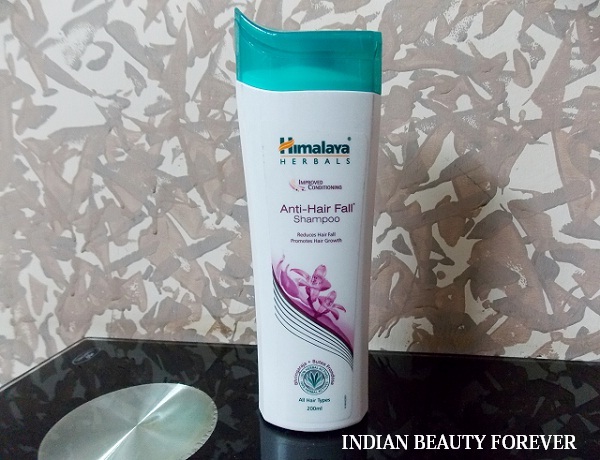 Brand claims "Himalaya's Anti-Hair Fall Shampoo is a breakthrough 2-in-1 formula that reduces hair fall and provides nourishment to hair shafts. It also conditions and improves your hair texture to reduce hair fall due to breakage. The herbs Butea Frondosa and Bhringaraja stimulate hair follicle growth and are effective in strengthening hair roots and controlling hair fall." This Anti hairfall shampoo emits a herbal sought of fragrance that isn't too strong. The shampoo has medium to thick consistency. therefore, just the normal amount is enough to complete the wash or depending on your hair length. It lathers very mildly so, he felt that the shampoo has not cleansed the scalp well, this may be due to the fact that it lacks SLES and parabens also, which is a good thing but it doesn't take off the oils from the scalp properly. After the wash, when the hair gets dry, they were slightly rough and frizzy. He has not seen much changes in the hair fall control aspect. After trying Himalaya Oil Clear Men Face wash he was really interested to try this product but sadly, this didn't work for him, the way he wanted though that is a fact that SLES free shampoos lather less as compared with the shampoos containing SLES which are responsible for lathering. PR Sample though the review is honest and unbiased. I have a feeling that this shampoo is a clarifying one, most anti hair fall shampoo try to counter oily scalp and so that's why they are very drying to the most of our hair. I use an oil stripping shampoo several times a week but then I have to condition the bottom half of my hair because it's just my scalp that gets oily. Clarifying shampoos tend to have little 'soap' and don't lather up so that's my guess with this one! Hope you find a way to use this up! Good review Niesh! <3 haven't yet tried this product.. But I know that SLS & paraben free products are tad tricky to use (But they are SOO good too!) Next time, try washing your hair twice instead of once. It may help removing the oil and leave your hair soft. Have a nice day!